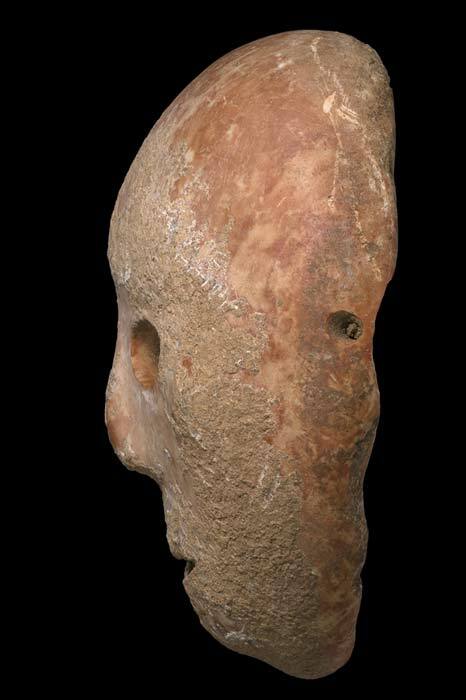 The Israel Antiquities Authority has announced the recovery from looters of a very rare Neolithic mask made from stone. The item was originally discovered this year in Hebron, on the West Bank. This find is one that comes from a crucial period in the history of humanity, the transition from a nomadic hunter-gathering existence to a settled society based on agriculture. The ancient object is expected to add to our understanding of this mysterious but seminal period in human history. The recovery of the mask was thanks to the tenacious efforts of the IAA’s Antiquities Theft Prevention Unit. This is a specialist unit dedicated to the prevention of the looting of archaeological sites and the recovery of stolen antiquities. It received information that a rare stone mask had been illegally excavated in early 2018. Following up on the tip off, the unit has now recovered the mask from the thieves and it is in remarkably good condition. According to the Times of Israel , an investigation indicated that “the probable archaeological site in which the mask was originally found, is in the Pnei Hever region of southern Har Hevron” in the Hebron Hills, not far from the Judean desert. The mask is made from limestone and it was smoothed and shaped with great artistry. It resembles a human face and it has details such as cheekbones and even teeth that make it more life-like. The finish of the mask is very impressive, especially given the fact that it was only made with basic tools, and this demonstrates that the society that produced it had sophisticated craft people. There are four holes bored on the edges of the artifact and these were possibly used to tie it around a person’s head, so it could be worn in a ceremony, or else it was attached to a pole and placed on public display. A preliminary study of the mask has been undertaken and its style and characteristics ‘testify that the mask is 9,000 years old’ according to the Israel National News . This means that the artifact is from a period in the Neolithic when societies were transforming rapidly. 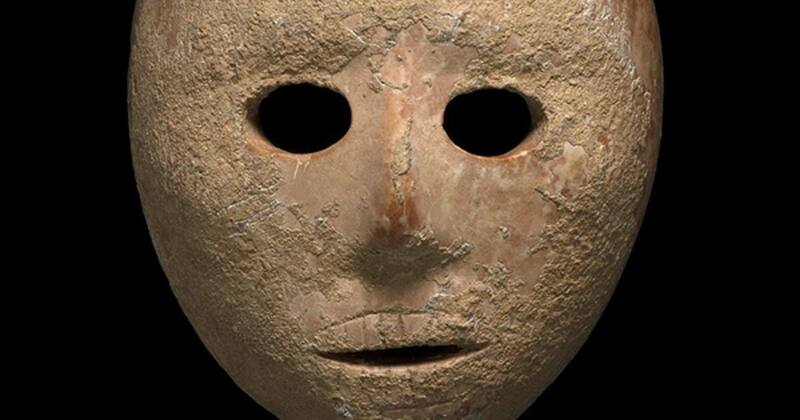 The item was unearthed in a location where other stone masks have been uncovered in the past. The Jerusalem Post , quotes the leading Israeli archaeologist Omry Barzilai, as saying that, “Stone masks are linked to the agricultural revolution.” This period was when stone age societies began to abandon their hunter-gatherer lifestyle and adopt more sedentary lifestyles. This was characterized by a dramatic growth in religious activities, including rituals and sacred art. At this time in the region there was a particular importance attached to the human face and this has been related by experts to the growth of ancestor-worship cults and practices. There have been many human skulls found buried under the floors of private dwellings from this period and later. There is also evidence that groups plastered and decorated skulls and made them life-like, as part of some grisly and mysterious ritual. The recovered mask’s resemblance to a human face means that it was probably linked to a desire to commemorate or honor dead relatives and family members and was used in rituals associated with ancestor worship. The ability to locate the origin of the mask is very important as it shows that the Hebron Hills and the Judaean wilderness was a center for the manufacture and use of these masks. The site where the mask was unearthed will now be subject of an archaeological dig and this “can help us understand the material culture, everyday world in which the mask was produced,” reports the Times of Israel . There are only fifteen similar masks like this that have been discovered to date. The vast majority of these are in private collections and they cannot be studied by experts. This mask is not just important in itself but offers experts the opportunity to understand an important phase in human civilization. It also allows us to better understand the worldview of our ancient ancestors as they struggled to come to terms with the emergence of a new society and ways of living.